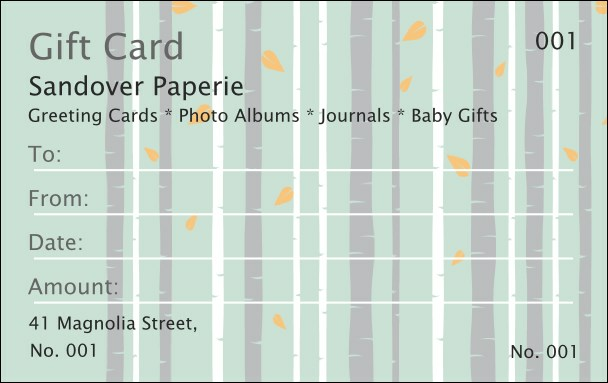 Find your inner peace with this tranquil Birch Forest Gift Card. The slender gray and white tree trunks are surrounded by a multitude of gently falling orange leaves covering a subtle, cool backdrop. Naturally, TicketPrinting.com can handle your printing needs!